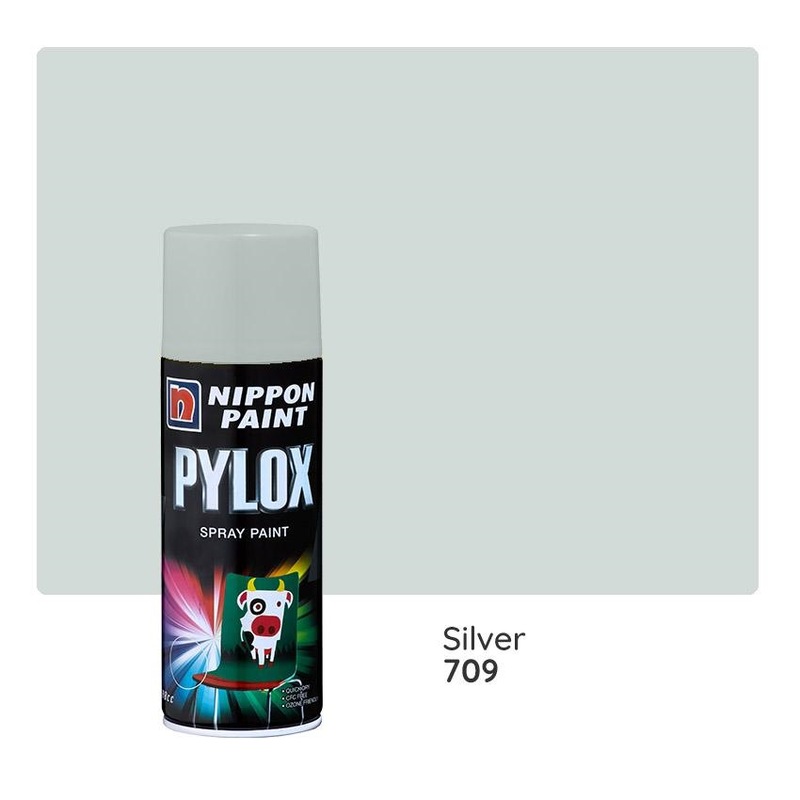 NIPPON PYLOX PAINT HEAT RESISTANT 400CC [2 COLOURS] is rated 5.0 out of 5 by 6. A quick-dry silicon resin paint that is highly resistant to temperatures up to 450°C, the maxiumum heat temperature for car engines. Rated 5 out of 5 by Andrew Nicholas Lee from Nippon Spray Paint I have used Nippon Spray Paint for many years. Unlike other spray paints, Nippon Paint dried without wrinkles. Highly recommended! Rated 5 out of 5 by diamond from good discounted item wasnt sure about the date printed (year 2016), supposed it is the manufactured date. price is cheaper than other online search. Rated 5 out of 5 by Bajero from love Horme hardware. They have all the colours for nippon pylox unlike almost everybody other shops I went to. Definitely will buy again. Rated 5 out of 5 by Shin from Using Pylox Anti Rush Brown & Gloss Chrome After using the Nippon Pylox anti rush brown and gloss chrome on my watch, i find that it was really easy to spray and the finishing is awesome. First, I sprayed 2 layers of anti rush brown as the based coat and followed by another 2 layers of gloss chrome. it looks great after the paint dried. But the gloss chrome seems to be faded off after sometime and eventually become like matt silver, maybe due to contact to my skin and sweat. I am now planning to use Pylox anti rush brown and silver to restore my rusted cross trainer. Rated 5 out of 5 by Shin from Pylox Spray Paint, great product, easy to use. I am a DIY person, I love to do a lot of DIY things myself and I always choose Pylox Spray Paint when to paint work is required, it's easy to use and finishing is great.